Esri recently announced the release of ArcGIS 10.3. Brian Peterson and Robby Deming from Esri provide some insights in what the latest release of ArcGIS brings. At version 10.3, ArcGIS continues to innovate and push the science of geography and GIS. This release includes a series of new apps and enhancements that helps people discover, make, use, and share maps from any device, anywhere, at any time. ArcGIS Pro reinvents desktop GIS. This brand new 64-bit desktop app lets you render and process your data faster than ever. With ArcGIS Pro, you can design and edit in 2D and 3D, work with multiple displays and layouts, and publish maps directly to ArcGIS Online or Portal for ArcGIS, making them available on any device. ArcGIS Pro is currently in prerelease and will be available to you as part of your ArcGIS 10.3 for Desktop license. Stay tuned for the final release in January. At 10.3, ArcMap is better than ever, with improvements such as new analysis and automation tools, infographics capabilities, and tools for managing your data more efficiently. 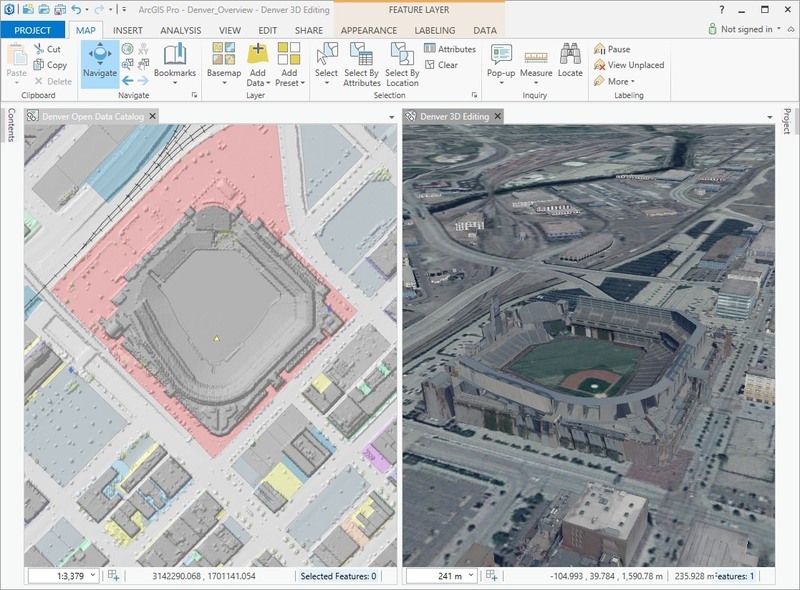 You can even run any version of ArcMap side by side with ArcGIS Pro. ArcGIS Online provides Web GIS, hosted by Esri. With ArcGIS 10.3, ArcGIS for Server delivers Web GIS in your own infrastructure. This is possible because ArcGIS for Server Standard or Advanced now entitles you to Portal for ArcGIS. 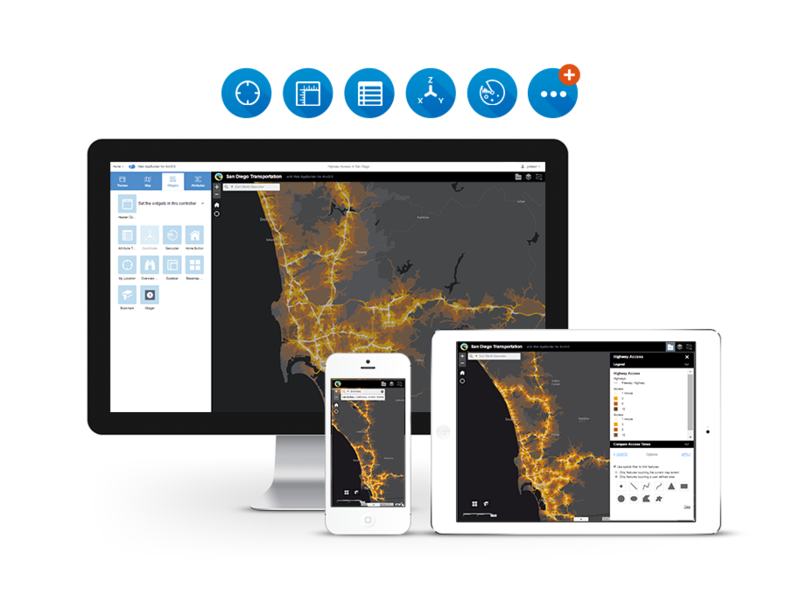 Portal for ArcGIS unlocks the full suite of ArcGIS apps, including the new Web AppBuilder, so everyone in your organization can leverage your GIS work. Read about the Q4 update to ArcGIS Online. We are continuing to realize the vision of taking 3D information and bringing it to life in browsers and applications that run on devices. At 10.3, we’re delivering a whole new 3D editing and visualization experience for the Desktop with the introduction of ArcGIS Pro. What’s more, you can share the 3D scenes you create in ArcGIS Pro with anyone using ArcGIS Online, which now includes a new Web Scene Viewer. A web scene can have layers, including elevation layers, imagery layers, tiled layers, and feature layers. In addition to viewing scenes created and published using ArcGIS Pro, the ArcGIS Online Web Scene viewer can also be used to create 3D Scenes by mashing up existing layers in your Web GIS, right from your browser. Content that you have already captured can be brought into these scenes and displayed so users can work with that information in 3D. 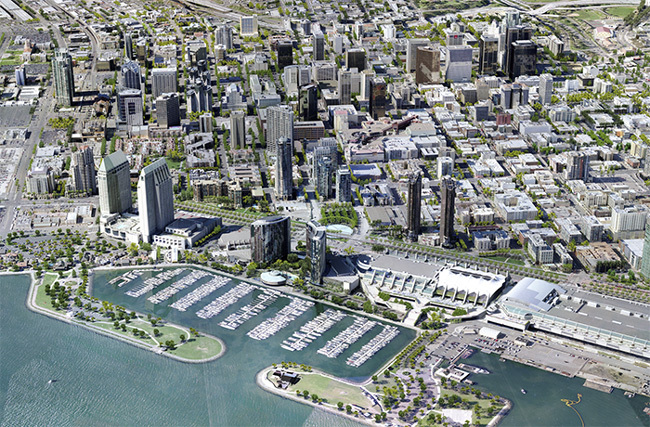 Over the next few months, subsequent releases will deliver even more 3D capabilities including the ability to publish and disseminate web scenes and layers using your own ArcGIS Servers, including support for sharing photo realistic 3D models (such as detailed buildings), and 3D-enabled mobile applications that work on devices, such as tablets and smartphones. At 10.3, real-time, streaming data is fully integrated into ArcGIS. The GeoEvent Extension for Server delivers improved performance with increased throughput capability, faster spatial filtering, and the ability to scale-out by adding machines to a cluster. A suite of new spatial operators have been added to GeoEvent for even more powerful spatial filtering options, such as intersect, touches, and overlaps, all of which can be applied to any or all GeoFences. New spatial processors are included, such as Buffer Creator, Intersector, and Symmetric Difference, delivering an unprecedented array of real-time spatial analytics. Even more real-time spatial processors are available in the Esri Gallery on GitHub. You can even create your own. At ArcGIS 10.3, real-time web maps are here thanks to the introduction of the Stream Service and Stream Layer. Now, real-time layers can be configured, symbolized, and filtered directly in a web map and added to ArcGIS apps and custom applications. Another area that is new in 10.3 is the introduction of Web AppBuilder for ArcGIS, which not only allows users who are not developers to assemble applications, but also gives developers opportunities to build their own widgets that can be used with Web AppBuilder. 10.3 marks the beginning of a wave of releases that will further help developers build mobile applications using ArcGIS Runtime. This will allow developers to take advantage of the same technology that Esri uses to build our mobile applications including Collector, Explorer, andOperations Dashboard. These releases will expose the new 10.3 capabilities for working with 3D, real time, mapping, and offline to developers building native applications for the different mobile platforms. Last but not least, developers working with ArcGIS Pro can leverage Python to automate tasks. Developers will also be able to extend ArcGIS Pro with add-ins using the ArcGIS Pro SDK for .NET. This will be available in beta during the first quarter of 201. ← Map: Possible Oil Spill Spread In Sundarban !!!! How Much Should You Charge for Your Services?